Yallah ! Watcha lookin' for? Marhaba - Welcome! If you're new here, you may want to subscribe to my RSS feed, check out the Recipe Index. Or follow me on the social network Facebook. Thanks for visiting! This is Sunnah In The Kitchen #SunnahKitchen – A segment where we make gradual changes that we as Muslims can make in our homes and kitchen to revive the Sunnah (practice of the Prophet Mohamed ﷺ ) . I will be focusing in the food and health related habits and manners of the Prophet ﷺ; also the foods He preferred. And I'll also be including round-ups and linky parties for others to also share their ideas. So be sure to share the wealth and link your ideas and recipes! Eating fresh, REAL food and replacing faux, refined and processed foods is on many people’s minds these days. You find a new diets, “ways of eating” and even health foods popping up everyday. You’ll get conflicting advice on how you should eat. Eat only a plant based diet, cut out the grains, lower the fat, nicks the carbs. It can be pretty confusing and hard to navigate through them all. Being a Muslim, my “prefect health diet” has been described in some detail in the Qur’an and Sunnah. Both these Holy texts have given us a basic guide on what and how to eat for optimal health. Many of the current popular diets and ways of eating today include the use of alternative natural sweeteners instead of the refined white stuff we’ve been using for years. There are so many overwhelming “natural” sweetener choices out but today I’m going to introduce you to the only one that is actually ranked as the most nutritious; it's 100% naturaland antioxidant packed sweetener out there. It’s something that people of the Middle East, India and the Mediterranean have been using for centuries. And is mentioned in many religious texts including the Torah, Bible, Qur’an and Hadith. Have you guessed yet? No? Then let me introduce you to your new best friend: the date. She's nature’s own little candy. Claimed by the Sumerians as the Earth’s first fruit tree. She’s a sweet, wholesome little thing naturally formed in this world with all the goodness you’d want from a sweetener: subtle sweetness, no strange after taste, free of fat or cholesterol, rich in fibre, potassium, calcium, Vitamin A, Vitami C, Vitamin K, Vitamin B, folate , Folic acid, magnesium, calcium, zinc, copper, iron, niacin and amino acids. Substituting dates for your daily refined sugars could give you the same amount of antioxidants as a serving of berries or nuts. She’s natural wonder that can be used in so many numerous ways. And believe it or not, all parts of the date fruit are edible and usable in everyday cooking and baking. Yes, you got it you CAN use those date seeds! Dates have around for for centuries. The Sumerians believe the tree was created with their mythological God Enki ((god of the freshwater ocean) and Inanna (goddess of love, fertility and warfare). They summoned a raven to pollinate the trees and irrigated the grove with an ancient tool called a shaduf. In ancient Mesopotamia, the date palm tree served as the inspiration behind the “Tree of Life” concept, which connects earth, heaven and the underworld and provides gifts of fertility, immortality and wisdom. The ancient date palm tree, it has been suggested, is the oldest fruit bearing tree on earth. Palm trees grow worldwide from sandy deserts to tropical rain forests. The palm trees has been grown in grove plantings, since the ancients understood the food value of the dates and the exotic appearance and shading on the landscape of the desert sands. Palm trees were often planted near an oasis as a source of water, shade and food. Historically the tropical appearance of palm trees was noted in ancient documents, and on stone inscriptions uncovered by archaeological excavations and from multiple references in the Bible Scriptures. Ancient civilizations revered palm trees as symbols of fertility, peace, and victory. Palm tree images were struck and minted on ageless coins of the Greeks and Romans. The trees were an economic resource for the exporting of high quality, edible dates into areas outside the Middle East and Africa. In the Judaic history, the date is a part of the seven agricultural products called the "seven speices" that are considered the products of the "Land of Israel. And the date has been an important part of Jewish Cuisine. Date palms are only found in the hotter inland rift valley near Jordan. In biblical times they grew in the Jordan Valley, but with modern irrigation techniques the palms have also taken root near the Dead Sea and further south in the Arava. In the biblical era dates were made into honey, and many believe the notion of the "land flowing with milk and honey" actually referred to date honey. In Christian tradition, the date palm trees grow tall point toward the infinite heavens where there is a promise of "Life Eternal". The symbolism of the straight trunk of the palm tree is clear; that humans should journey down the straight path that leads people toward righteousness. The straight soft trunk was capped with a canopy of 20 foot leaves of green that unfolded like a botanical star burst. The palm was prominent in the decoration of the temple of early Christians as well. 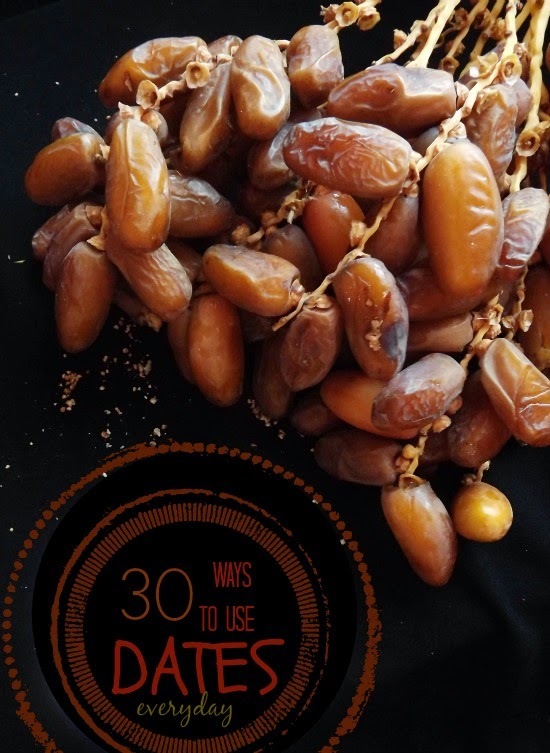 The Prophet Mohamed ﷺ used to break his fast by eating some dates before offering Maghrib prayer, and if ripe dates were not available, he used to substitute them with some dried grapes. When they too were not available, he used to have a few sips of water, according to some reports.The Prophet ﷺ used to combine dates with bread sometimes. At other times he mixed ripe dates with cucumber, or dates combined with ghee. He used to take all varieties of dates, but he preferred the variety called Ajwah. 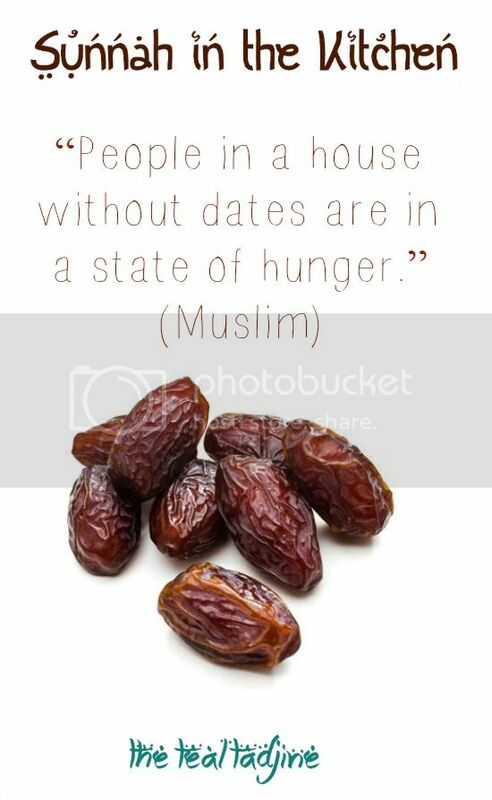 The Prophet ﷺ used to eat odd number of dates as narrated in Bukhari (Hadith 2.73). So as you can see the delicious honey-sweet dates fed and aided the ancient nomads for more than a millenia The palm leaves shaded the hot, bright desert sands and the fibers provided a plethora of uses in the primitive lands. The date palm was once valued for its leaves which were used to make baskets, roofs, etc. The trunk was used in building. 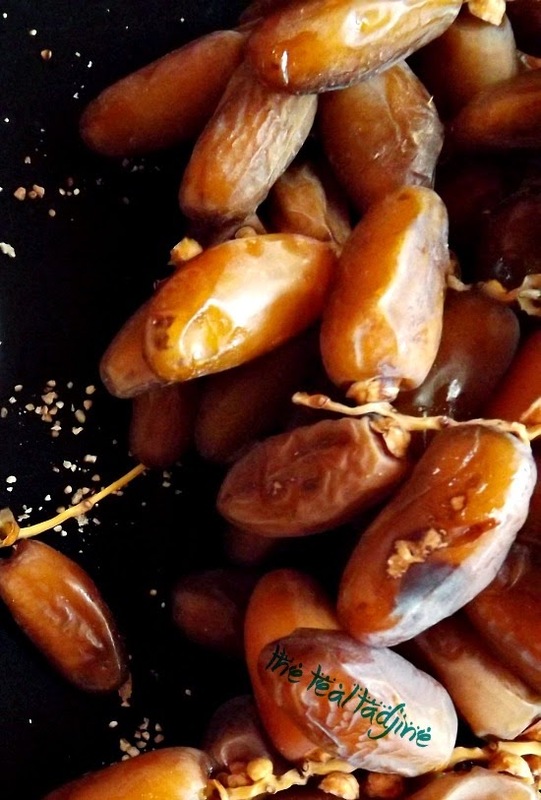 Before coverting to Islam, my experience with dates was very limited to very very dry and hard baking dates you’d find in Christmas fruitcakes! Sorry but YUCK! 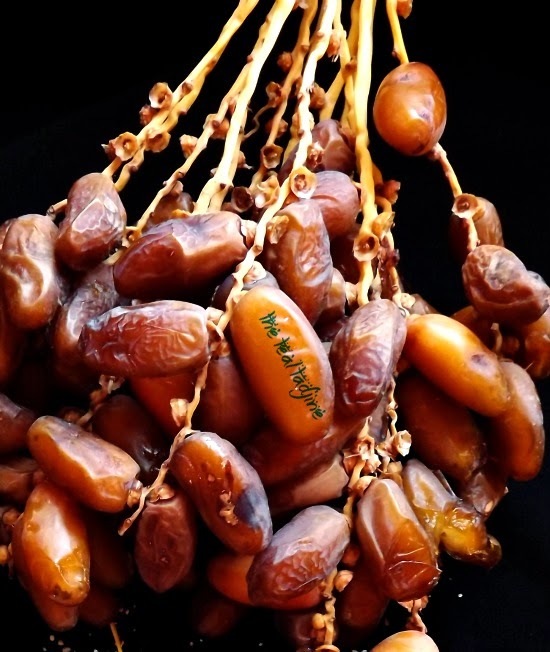 And even after conversion, reading about the benefits and our Propeht Mohammed (عليه السلام ) recommendations regarding dates, they weren’t an intregral part of my diet. 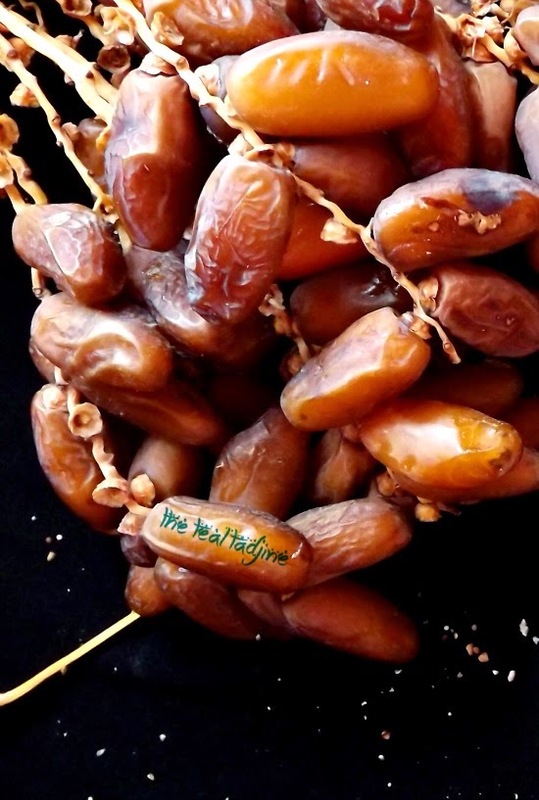 Dates only made it into my diet during Ramadan when I used my break my fast with a date. It was only when we moved to Algeria I really discovered the deliciousness of real fresh dates. This piqued my interest and I’ve integrating them in my family’s diet ever since. In our society where sugar is overused and over-processed, dates are the perfect replacement for sugar. Dates can find its way into just about every recipe from savory to sweet, baking, soups, salads, main courses and smoothies. Dates are unique in that they have several stages of ripeness and can be eaten both fresh and dried (the way we most commonly know them). Their sweetness pairs well with yogurt, cheese, beef, lamb, chicken, wild game meats and vegetable courses. Of course, they can also stand alone as a dessert course– they are quite sweet. Throughout history and the lands, dates have been called the “bread of the desert” and the “cake of the poor.” In many parts of the world they are considered an affordable source of nutrition, comparable to rice, wheat and potatoes. In fact, Saudi Arabia emports ton of dates to impoverished countries in Africa just for this reason. They are dried and easily preserved; because of their extended shelf life, they helped to sustain people in impoverished countries. And outside of being natural and long-lasting they are a sustainable food that won’t have a huge environmental impact unlike coconut sugar and agave nectar. So we’re not aid in the depletion of any eco-systems. Who wants to single-handedly responsible for destroying the world’s population of coconut trees or agave bats? And we’re not using any lab created artifical sweetener that has been “tested” poor little bunnies. I think as Muslims and humans we need to think about these things. This was part of our Sunnah Kitchen series. 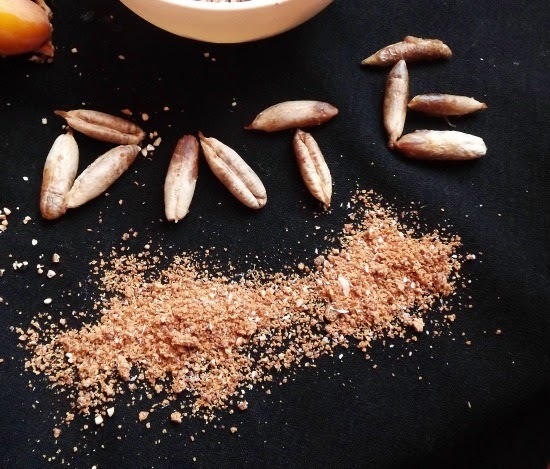 In the future, I’ll be including specific ways to use dates: date sugar, raw date syrup, cooked date syrip, raw date paste, steamed date paste, date flour and date flour. 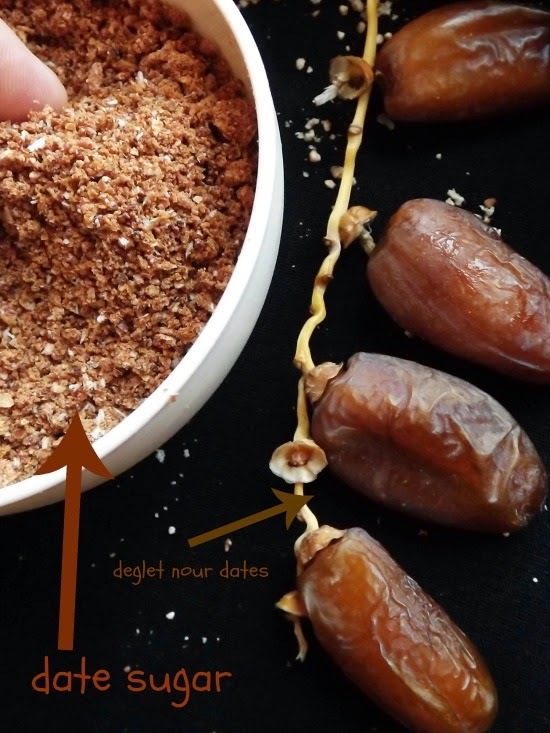 (Amoung other Sunnah Foods) But in the meantime, here are some ideas how to use dates instead of refined sugars in your diet. Cut up 3, 5 or even 7 dates and cook along with your morning bowl of oats or porridge for that all natural earthy sweetness. Make your life sweet and healthy with this Gluten-Free carrot-almond porridge. Optionally top the oatmeal with extra cut up dates. Or even better make a dreamy-creamy date caramel to top your favorite yogurt parfait, oatmeal or cake with. Mix into your afternoon yogurt cup snack for extra sweetness and chewy texture. Use date flour, date sugar or even date sugar in your favorite pancake or waffle recipe. Then smother them with a date pancake syrup. Replace regular molasses for concentrated more nurient-dense date molasses in your winter gingerbread. Or even ginger nut biscuits. Whip your very own healthy smoothie using dates to sweeten.Or use the flavor of dates your smoothie base. And you won't feel guilty about sneaking a cookie from the cookie jar with these babies. Give your kids a healthy refined-sugar free muffin snack. Use steamed date paste in Middle Eastern Ma'amoul cookies. Or in Algerian Maqrout cookies. Modernize an old Southern favorite. Spread date paste on morning toast instead of sugar laden store bought jam or Nutella. Add to savory dishes like this apple and date stuffed chicken. Or really think outside the sweet-savory box with this date-balsamic salad dressing. Use dates along with nuts to make a Paleo-Friendly grain-free pie crust right in your food processor. Looking for sticky and lusicous gluten and refined sugar free dessert- make these! Enjoy some date granola in the morning. Or use dates as a binder in your favorite granola bars. Stir in date syrup in your favorite coffee or tea drink. Or this classic Middle Eastern (halal) Jallab cocktail. Go ahead and witch out those store bought kid milk drink mixes with this delightfully healthy date milk. Make some healthier chocolately brownies like these or even these. Sweeten up your life with this raw apple pie. Or even Heba's almost raw date sweetened apple pie. Or go minimal with this apple pie oatmeal with dates. Or try this Paleo old time favorite pecan pie. Try putting a tiny spoonful of nut butter in a pitted date for a sweet and satisfying dessert or energy boost pre or post workout! do like dates? and how do you enjoy them? Sign up for posts delivered right to your e-mail inbox just subscribe to my feed. Facebook, or even pin along with me on Pinterest . I've just found your blog and loving it :) nice to meet you. wow all the information is so good..nice blog.. I am getting great inspiration for my blog Ochutnejte svět here. Thank you! I do my best to respond particularly on recipes, but don’t have the ability to respond to every comment straight away. If you have an urgent question or comment, please contact me via email or Facebook. Please do not include links not pertinent to the discussion. I'm Hénia. Wife, Mama to 5, educator, culinary explorer and history lover living in the North African country of Algeria. Inspired through our natural blessings, simple halal living, the azure blue sea, and the tranquil Mediterranean flow ... The Teal Tadjine is my place to share and celebrate the blessings of this life: real good food, tradition, and family. © The Teal Tadjine 2013 - 2018. Simple theme. Powered by Blogger.